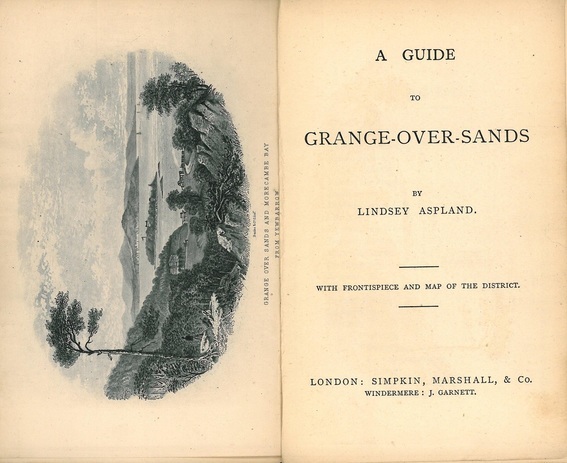 There have been many books about, or mentioning, Grange over the years. This is just a selection of them - mainly just the covers, but some with links to external copies or websites - and a few with a selection of inside pages to give a taste of what they're about. Click on the images to enlarge them - or to start any slideshows. 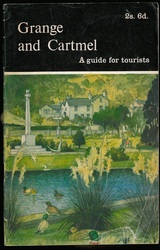 Most can be found in the local reference sections of Cumbrian libraries. 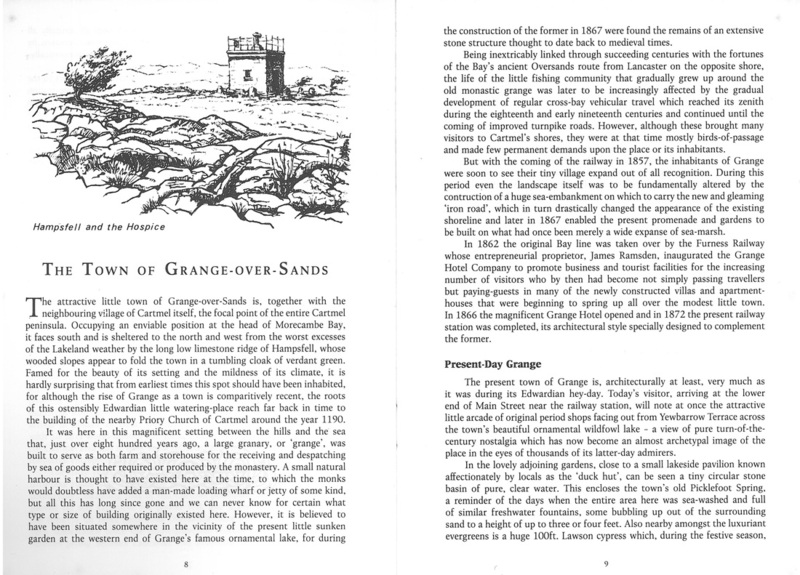 A 20 page pdf document all about the over-sands road is on my 'Road across the Sands' page. 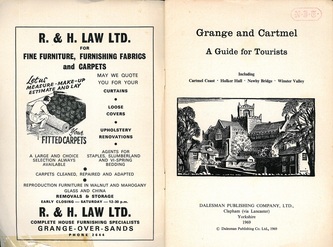 There are two additional pages - one for the series of 'Official Guides (1933 onwards)', and one for the series of 'Pocket Guides (1917 onwards). Click on the images below to take you to them. 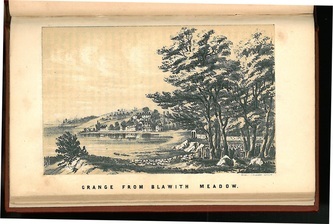 These sketches originally appeared in the Kendal Mercury. 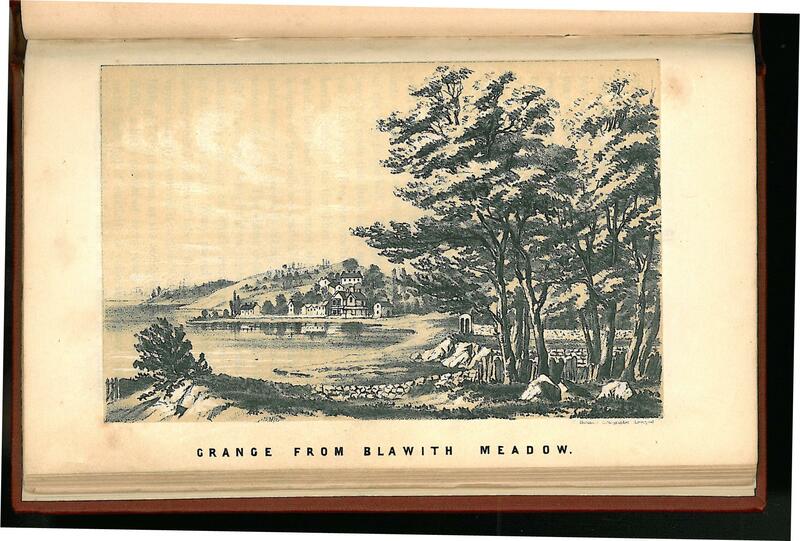 They were then reprinted in book form in 1850 - the purpose of the book being to raise money for the building of a church for the inhabitants. 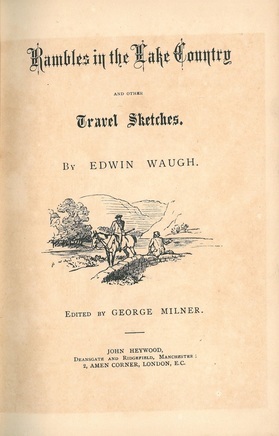 Edwin Waugh wrote a number of books about the north country. 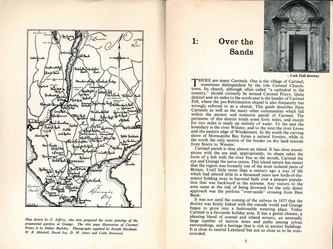 This one has a whole chapter "Over Sands to the Lakes" with some interesting descriptions of the area. 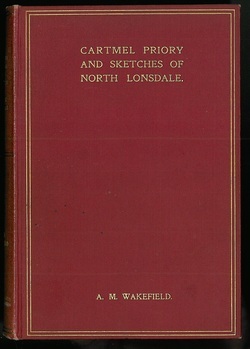 A lengthy book written by Stockdale, whose grandfather was heavily involved with the Enclosure process on 1800. 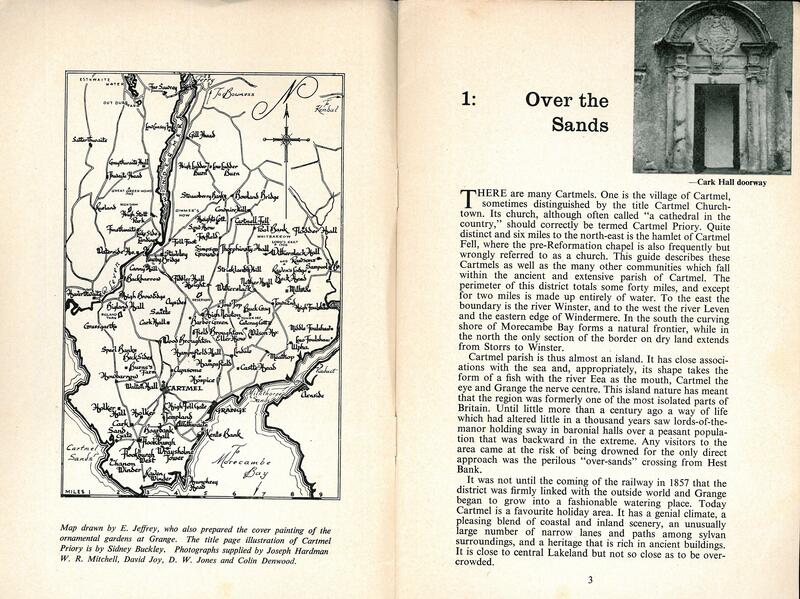 Fascinating stories and descriptions. 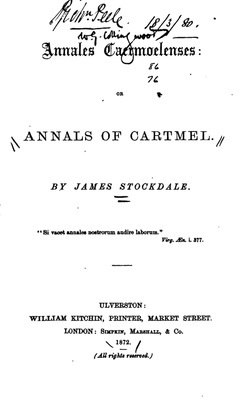 A copy exists in Grange-over-Sands library - or a digitized version can be downloaded - Annals of Cartmel. 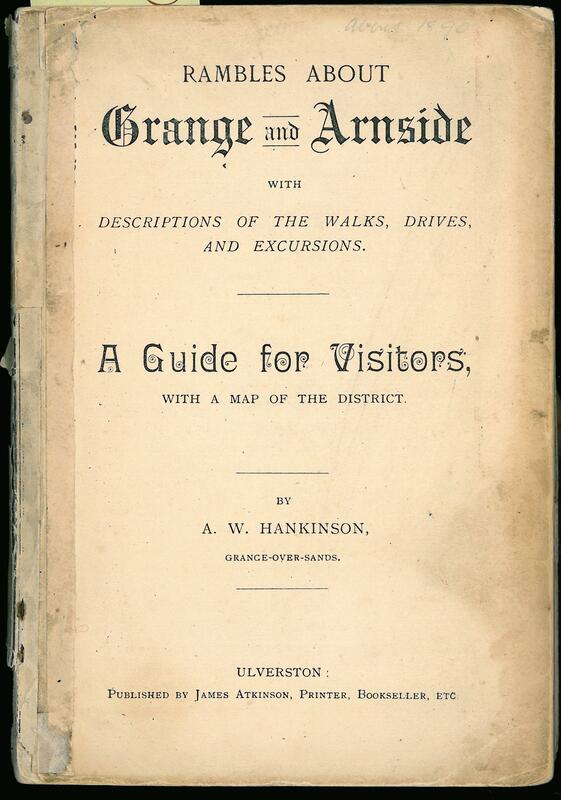 Hankinson's guide to walks, drives and excursions around the area. 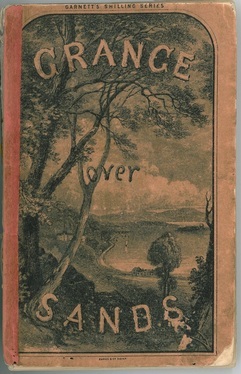 Undated, but probably dated around 1880. 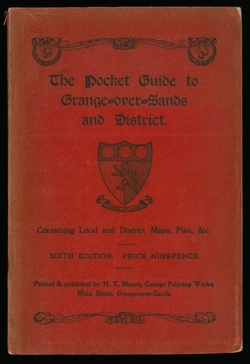 A small A6 size guide to the area, with cardboard covers. 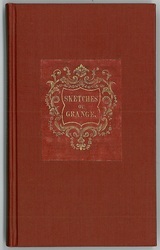 One of Garnett's shilling series by Aspland; dating this is difficult, but it appears to be either 1869 or 1888. 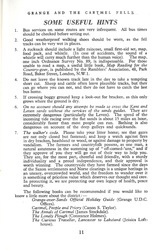 Google has a digitized copy of this. 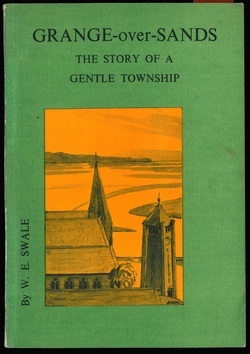 This lovely book has various chapters, includings ones on Cartmel Priory, Quakerism in the area, St.Anthony's Church, Early Grange and Cockling. 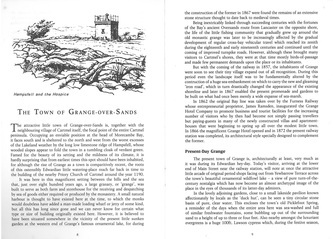 The Grange chapter is reproduced on the slideshow to the right. 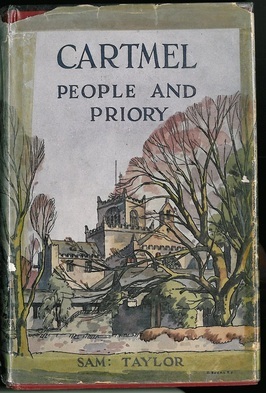 Sam Taylor, the Canon of Carlisle compiled this book in 1955. 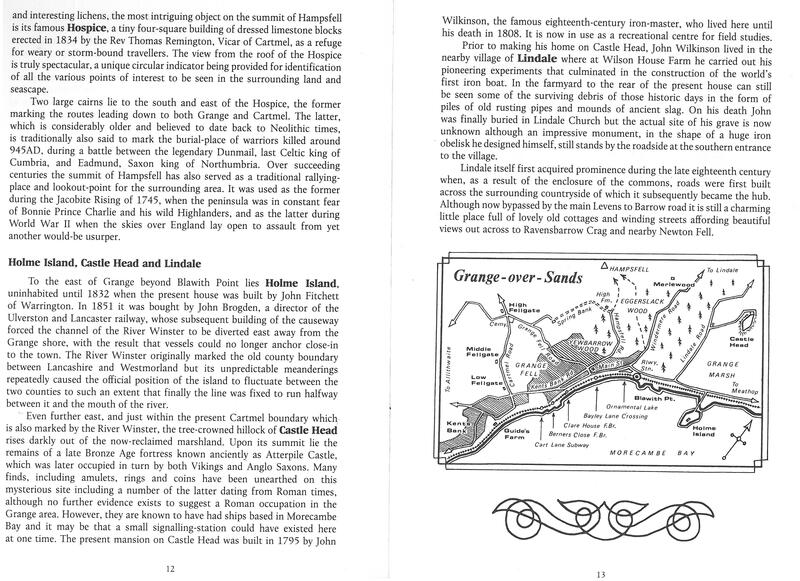 It contains a history of the area since the Viking times, with detailed descriptions of the townships. and, not surprisingly, quite a bit about the priory. A guide to twenty walks in the area by E. Abercrombie. Published by the Dalesman. 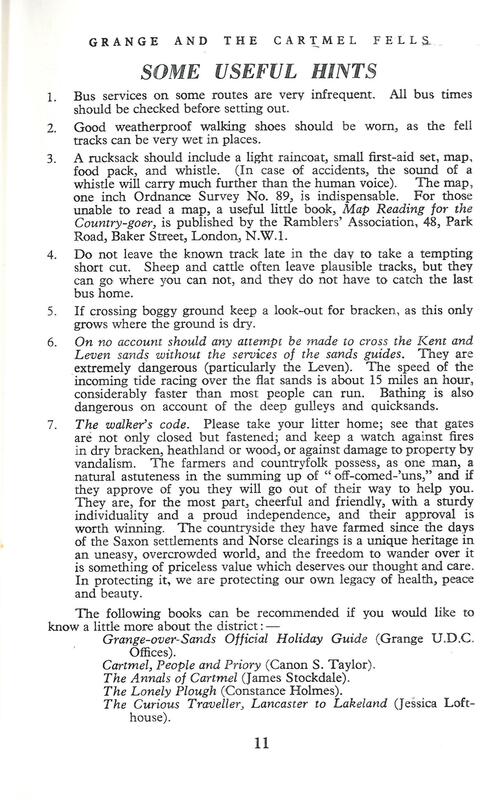 Contains an interesting page on 'Useful Hints' for walkers. 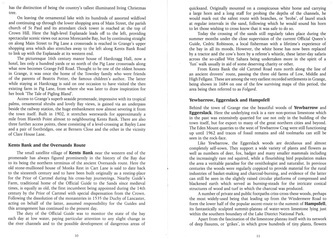 Also published by the Dalesman - a more commercial guide to the area. 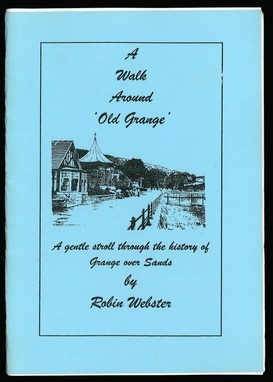 The most recently written history of Grange by EW Swalw. 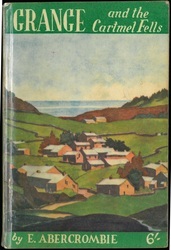 With extremely interesting chapters concentrating on the administration of the area, characters and buildings. 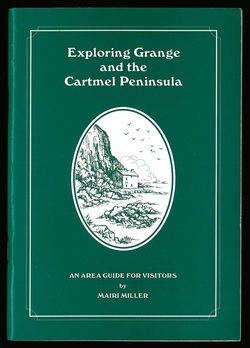 Very useful for getting an idea of life in Grange in the twentieth century. 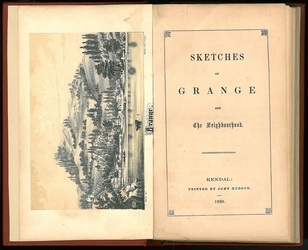 The original manuscript is in Grange-over-Sands library. 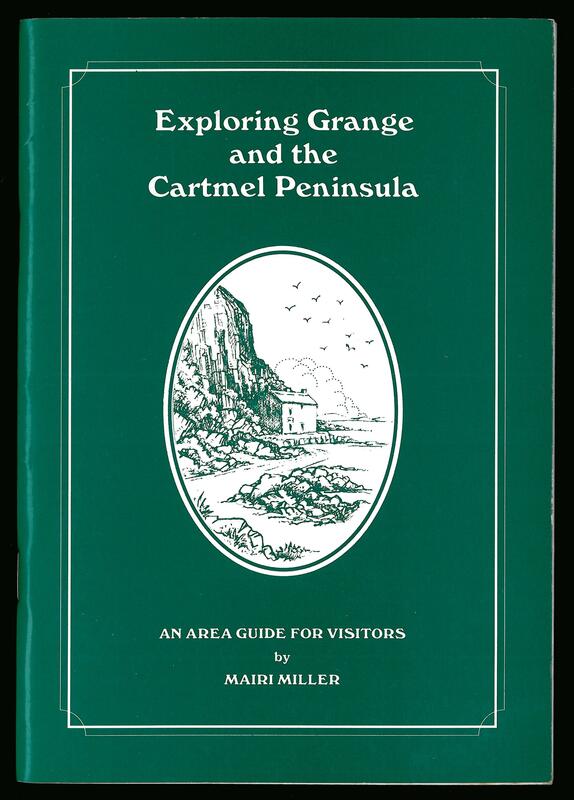 An area guide for visitor, with maps and drawings by the author - Mairi Miller. 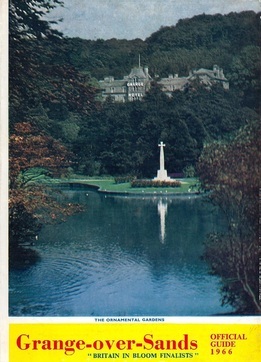 Robin Webster's recent booklet, available in the library and the Information Centre. 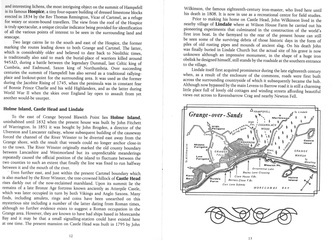 Along with Swale's book, it gives a good guide to the changes within living memory.